I love Instagram. It’s one of my favourite social media channels. 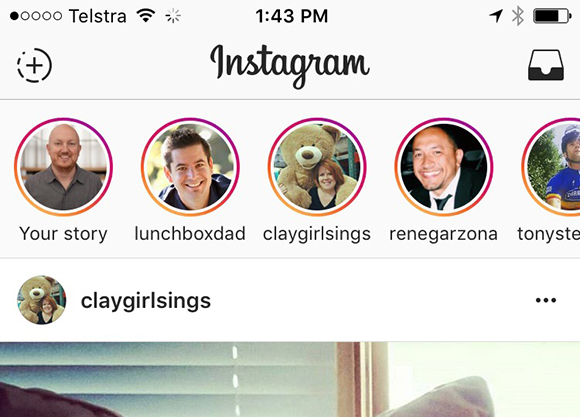 They recently released a new feature called Instagram Stories to increase the level of engagement. 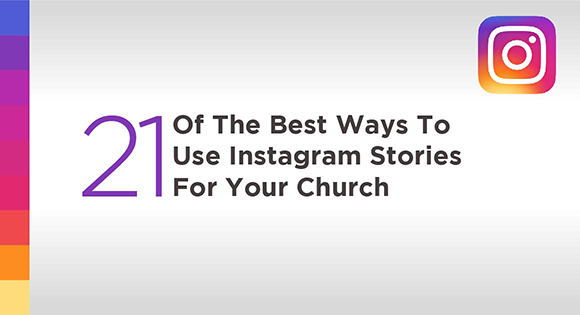 After spending a few weeks testing Instagram Stories out I think it has real potential for your church. With a nod to the success of Snapchat stories (Yes they copied it) it is just another way to post on Instagram. The only difference is that the post will disappear in 24 hours. In reality, Instagram wants to increase the frequency of posting on the platform because it is known as a curated visual social media platform, it requires more effort to create content for it. They also realize that the lower the bar for creating content means that more people will post on the platform. With changes that Instagram is making to its algorithm (you no longer see everyone’s posts) creating engaging stories that people watch or read means that you are more likely to appear in the timeline of someone’s Instagram feed. More visibility equals more engagement. More engagement will mean more reach. The live nature of the video’s on Instagram stories means that Instagram is pushing you not to create the most artistically curated story, but to tell a story that is authentic and in the moment rather than professionally curated. The opportunity is that you can be authentic and still build your brand rather than just push out professional looking ads. What I personally love about stories is that you can get people to message you privately and interact with you. That provides a great opportunity to engage with your audience. They appear at the top of your feed and all Instagram accounts will have the ability to create stories. What types of posts can you create? You can do them live or get the content from your phone (Check out my Instagram account for my stories here. Or Just search on Instagram for @stevefogg). I host a weekly Twitter chat called #cmschat for those who serve in churches or Christian non-profits who want to be more effective in their communications. In our recent chat, we shared ideas about different posts you could use on Instagram Stories. Thanks to you all who shared, there are some great ideas you can use for posts for your church. Celebrate volunteers & get people to message their thanks back and pass onto volunteers. Check out the transcript our weekly chat here. You can also join us each Thursday night 9pm ET (USA). Australia 11am (AEST), this changes depending on the time of year for us Aussies. There are so many great ways we can use Instagram Stories. I’d love to hear your ideas on how you use them. Also, If you have any questions about Instagram stories leave a comment below. Feature your community! How about a fill in the blank series! You start by saying the first part of the sentence…. And then each additional clip you get people to fill in the blank. Do a couple of answers in a row after the original sentence… Keeps content fresh, fun and more importantly puts your people in front and center, not just you! Dude, some of these ideas are killer awesome! Coolness! Awesome article! Steve, thanks for doing this post. I’m still trying to wrap my head around stories. So… why post the 21 things listed in this post to stories rather than to the regular Instagram feed? All if the things on the list seem like good content that would be good to keep beyond 24 hours. What am I missing? I like Kenny’s idea of featuring the community. What if you had someone walk around and ask ridiculous questions for a laugh before service? Kind of like a Billy on the Street thing? It would be great to laugh in church! Obviously, it would have to be someone you trust doing the interviews who knows not to assault visitors with a camera and mic on their first day. Could be done well! Great suggestions here, Steve! I just created our first Instagram story in church today. I can see how this will be a great tool for displaying our church culture, and enhancing it as well. I wanted to mention that it wasn’t super intuitive to figure out how to use content from my camera roll in a story. Had to google it. For those wondering, all you have to do is swipe down from the top when you’re in the Stories camera. It will pull up content created w/in the last 24 hours and you can add it into your story. Hey Jared, yes it takes a bit of getting used to. I do love how it keeps you at the top of the timeline though! 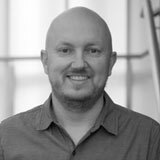 Wondering about Paul’s question above on why you would want a post to disappear in 24 hours – why not post these good ideas on regular Instagram and possibly get more engagement out of it? One advantage of stories is that your ‘story’ stays at the top of the timeline longer than a timeline story. Traditional posts are now dependant on whether Instagram decides to keep your post or make it disappear (like Facebook does). Stories are also a different kind/style of post. Instagram photos tend to be more curated where as stories feel like they are more in the moment, therefore easier to create.